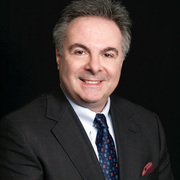 Start your 3D consultation now with Louis C. Cutolo, Jr., M.D., a high level plastic surgeon in Staten Island, United States to use the unique Crisalix 3D solution to answer that essential question “How might I look after the procedure?”. Upload 3 standard digital photos securely online and Louis C. Cutolo, Jr., M.D. can show you your ‘new you’ in 3D. Just upload three standard pictures today to see a 3D simulation during your next appointment with Louis C. Cutolo, Jr., M.D.. Before the consultation, you can visualize your current 3D body or face and, after the consultation, get access to see your new look from home so you can share with friends and make a better-informed decision. During your next appointment you will be able to discover your "new you" while getting all the advice from Louis C. Cutolo, Jr., M.D. After the consultation, Louis C. Cutolo, Jr., M.D. may let you access your "new you" from home with your own Crisalix account. This will allow you to share it with your family and friends or anyone you would like to get their advice.